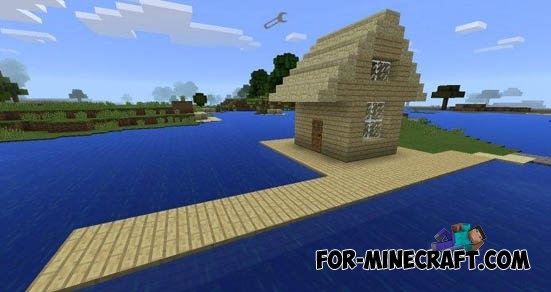 Colorable Planks - is mod for Minecraft PE 0.13.0/0.13.1, which will allow you to paint usual planks in different colors! You can do this by using dyes. You no longer need different kinds of wool. 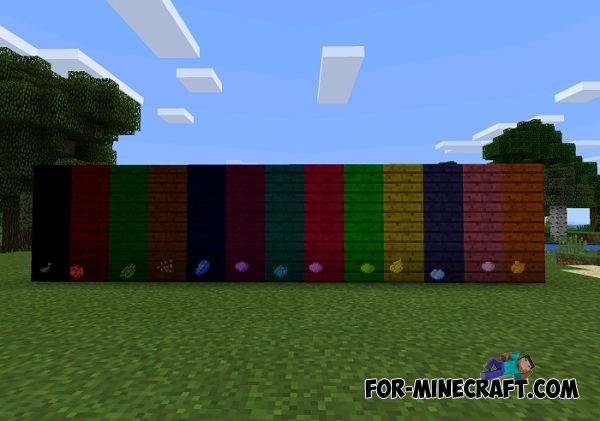 By installing this mod you get a lot of multicolored planks! 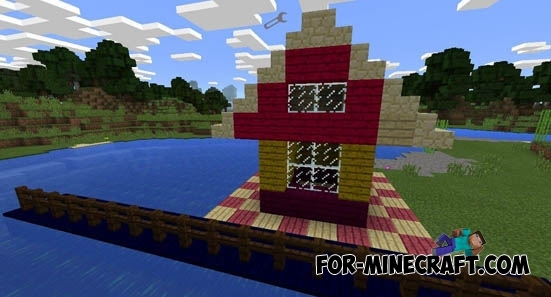 This will help you in the construction and design of the facade of your house and other buildings in 0.11.1! Coloration is possible with dyes and lapis lazuli. Using very simple! You need to build a house or any other building, and then take any of the existing colors. One dye only is designed for one plank. Now click on the plank by dye, and plank will get a new color! Skateboard mod V4.2 for Minecraft Pocket Edition 0.11.xThe modification adds a skateboard that looks very cool and realistic. Your character will move around the world about the same as before, but will do so on a skateboard.